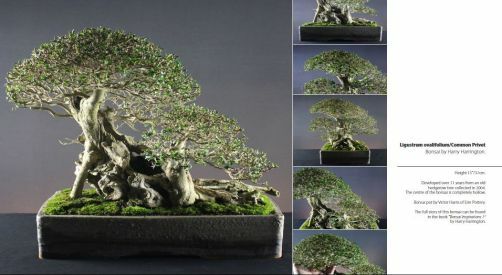 Genus of about 50 species of which Daphne x burkwoodii is known to the author as being of particular interest as bonsai, though, there seems to be no reason why other Daphne species would not be equally suitable. Daphne x burkwoodii hybrids are semi-evergreen shrubs with lance-shaped mid-green leaves to 4cm long. In late Spring, they bear clusters of up to 16 flowers 8mm across. Flower colour is dependent on which variety is used of which there are many. POSITION Full sun or partial shade, if possible try to keep roots and pot from becoming too hot in Summer. Hardy to -10°C. REPOTTING Daphnes dislike root disturbance and should only be repotted every two to three years removing no more than 1/4 of the overall rootmass. PRUNING Trim growth after flowers fade and then throughout the growing season. PROPAGATION Sow seed outside as soon as ripe. Take softwood cuttings in early to mid-Summer. Take semi-ripe cuttings in mid to late Summer. PESTS AND DISEASES Aphids, grey mould and viruses can be troublesome. STYLING Informal upright forms and cascades in small to medium sizes.